This is it! The final "ahh I'm moving and planning a wedding and need help" guest post! I am so grateful to all the wonderful ladies I had helping me out and am already so behind on making, photographing, and wirint for the blog...so I can only imagine the mess I would be in if it weren't for these posts! Today's post is courtesy of the adorable, talented, wonderful Meagan of A Zesty Bite! I actually guest posted for Meagan a while back, so I was so excited when she said she'd return the favor! Meagan is so incredibly sweet and has the most adorable little toddler (*sob* she's not a babyyyy anymoooore!) She is also probably the only person who ever made me consider moving to Texas (no offense to TX, it seems cool and all!) And her photography skills are amazing, her site is adorbs, and her recipes are all mouthwatering. Hi, Cooking Actress readers! When Kayle contacted me to help out since she would be busy moving and planning a wedding I was absolutely thrilled to help out my friend. We have never met but I feel like Kayle is a close friend of mine and I would LOVE if she would move to Texas. For those of you who don't know me my name is Meagan and I'm over at A Zesty Bite. I'm a stay at home mom to a busy little toddler girl who is 19 months old. My website consists of easy and delicious meals that anyone can make whether you cook a lot or have never cooked before. My recipes range from healthy to complete and satisfying comfort food. I also like to cover travel and lifestyle posts about our busy little family. Popcorn is my all time favorite snack! It's quick to make, healthy to eat and just fun to add different flavors to it. 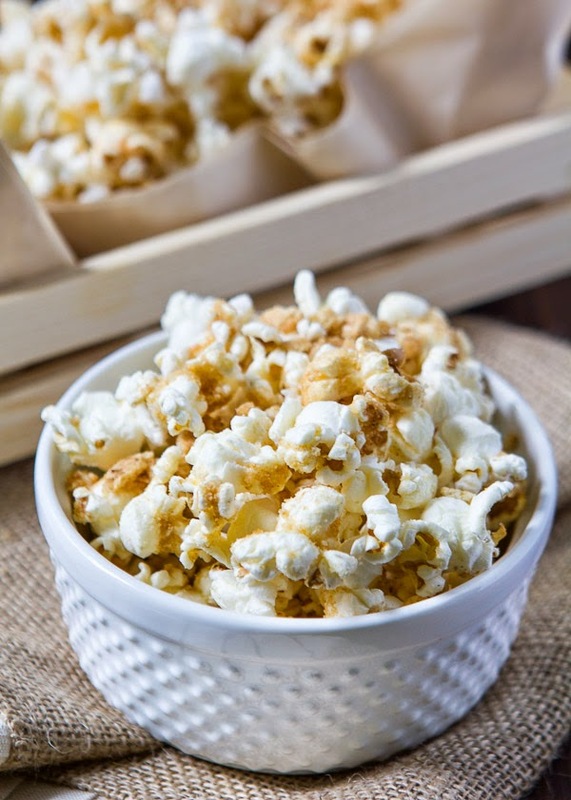 Now you can't go wrong with lightly salted popcorn but this recipe with cinnamon toast crunch will have you craving more. Now I have to admit that I like plain non-frosted, non-sugary cereal but for this recipe I needed the extra sugar and there was no glass of milk included. My little one LOVES popcorn just as much as me and I couldn't wait to share this fun afternoon "special" treat with her. 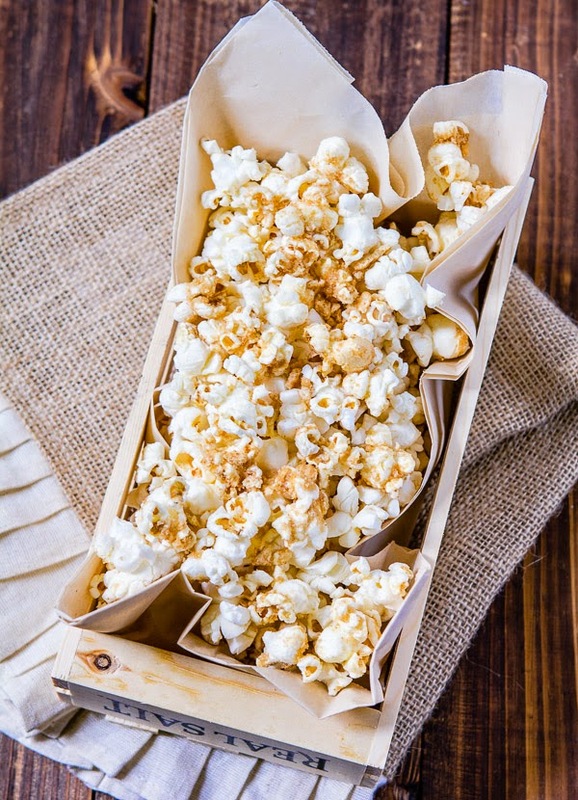 If you have left over popcorn just store it in an air-tight container. Pop the popcorn and leave in a large bowl. Add white chocolate to a microwavable bowl and heat for 30 seconds. Stir and then heat for additional 15 seconds. Repeat at 15 second intervals until chocolate has melted. Add cinnamon toast crunch to a food processor and pulse until fine consistency. 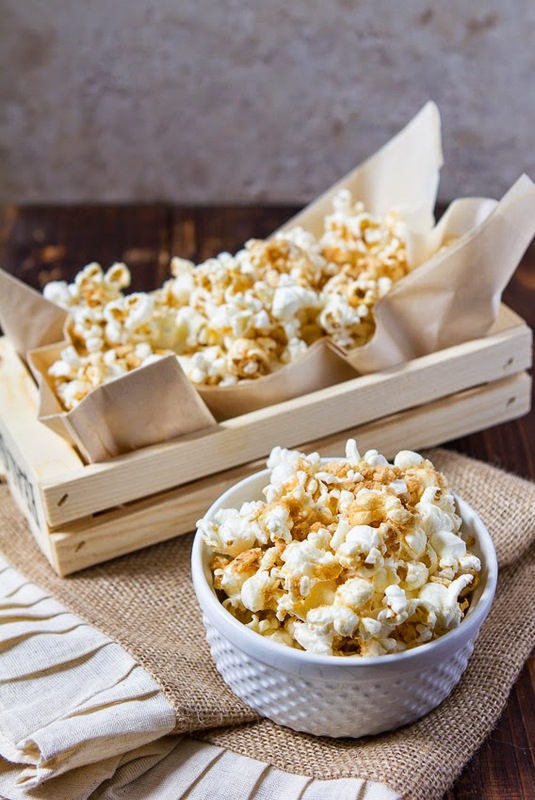 Pour white chocolate over popcorn and sprinkle with cereal. Stir or toss with a spatula until all is well coated. I LOOOVE Cinnamon Toast Crunch. And popcorn. SO YUM! Now go on and follow A Zesty Bite!